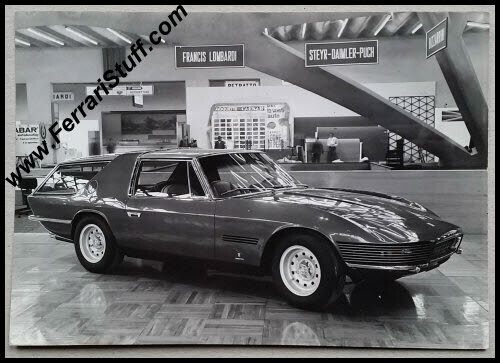 Vintage 1968 Vignale Ferrari 330 GT Shooting Break S/N 7963 Press Photo. 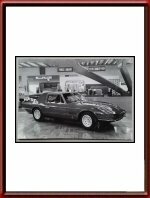 This is a genuine 1968 photo of Alfredo Vignale's last Ferrari design, the Ferrari 330GT Shooting Break, built on chassis number 7963. 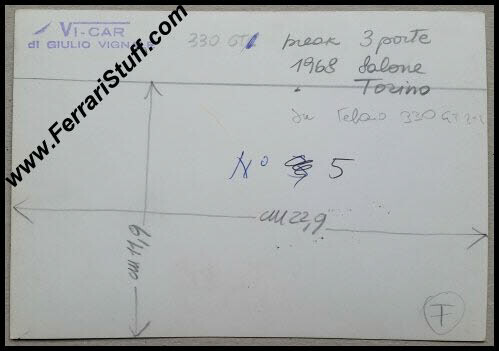 The photo comes from the Vi-Car agency of Alfredo's grandson, Giulio Vignale, as the stamp on the back shows. The photo shows the car at the 1968 Salone di Torino. It measures some 5.5 x 4 inches (14.5 x 10 cm) and is glossy black & white.